We held our Recruiter Rally yesterday and it was well attended. This was for our packet pick-up, the materials these recruiters will use in their churches and businesses to promote the walk in helping to End Hunger One Step At A Time. These recruiters are an important part of the walk. Without their help and dedication in getting people involved we would not be as successful has we have been. Last year we raised $82,500.00 with approximately 400 participants. One of the results was recognition nationally by CWS that our walk was #9 in the United State and #3 in online giving. Impossible, we think not. One of our champions is Doug Wyman who not only is on our planning team but one of the recruiters at Ascension Church in Oak Park. He has set a goal of $100,000.00 for our walk this year. Listen to Doug talk about why he walks and goal setting. This was recorded in 2014. 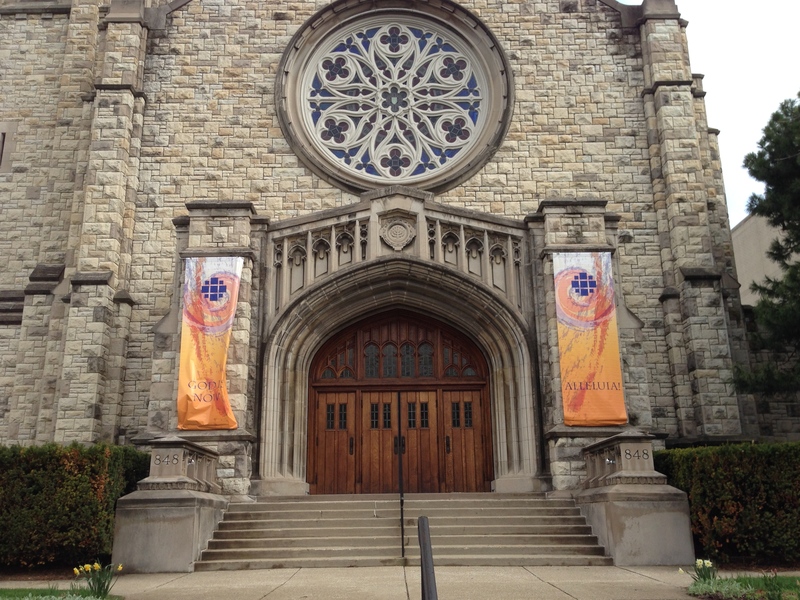 Ascension Church was #8 in the country in raising money and First United Church was #27 in the country. All of this happens with recruiters informing and encouraging people to join the walk. Please join us Sunday, May 5, 2019 to make all of this possible to feed the hungry here and around the world. Join us to reach our goal. The Planning Committee has selected a Grand Marshal for the 2016 CROP Hunger Walk. The person we selected is a tireless member of our team and more importantly an activist on the issue of hunger and homelessness. Shown here with his wife Barbara, they continue their 65+ years of marriage and commitment to one another. Doug Wyman has helped the CROP Hunger Walk for the past 10 years. He started as a crossing guard and elevated his role on the team to raise money from businesses in the area. He is consistently a top fund raiser for the walk. His positive attitude affects all team members for raising money. He believes in lofty goals which can be achieved. Our goal of raising $100,000.00 this year is one he championed, just as he continues to champion the issue of hunger and homelessness. To hear his story of how he become involved, listen to his story recorded in 2014. As if that is not enough at the tender age of 87, years old he is the co-host of The Doris Davenport Show with Doug Wyman, heard locally on 1490 AM WPNA on Sunday nights from 6:30 p.m. to 7:00 p.m. To see some of the programs go to their archive to see videos of past programs. You can now see why he was selected as the Grand Marshal for the 2016 CROP Hunger Walk. Join Doug Wyman on Sunday, May 1st at the start of the 33rd annual CROP Hunger Walk. We have been busy telling you about the issue of hunger and the CROP Hunger Walk Sunday May 1, 2016 on our social media platforms, including this blog. Our last blog give a detailed overview of the Doris Davenport Show with Doug Wyman, also a planning team member of the CROP Hunger Walk. One of the things that makes the walk successful is the work that the planning committee does on behalf of the walk. Organizing people, dates, places and events, along with many other things that make the walk run smoothly. Soliciting volunteers and working with them to make the walk a fun and worthwhile event with our tag line of “Ending Hunger One Step At A Time” is a goal of theirs and all the team members. Joanne Despotes co-chair and Ted Despotes Treasurer, have worked tirelessly to make the walk run smoothly. They are doing all of the things they can, along with other team members, to make this walk the event that it is. This week-end, Sunday, April 10, 2016 from 7:00 p.m. to 8:00 p.m. you can hear Joanne and Ted talk about the evolution of the walk, now in our 33rd year. Please remember that over these 33 years the CROP Hunger Walk has raised over 1.3 million dollars. You can tune in to The Doris Davenport Show, 1490 AM or a live stream. Join us on Sunday, May 1, 2016 by signing up today. Like the show? Give us some feedback. According to Share Our Strength and the Greater Chicago Food Depository, in Illinois, 1,833,810 people (14.2%) are food insecure. That is one in seven, meaning they are at risk of hunger and lack access to adequate access to the food they need to lead healthy, active lives. 661,950 children (21.6%) are food insecure. That’s one in five. Nearly 842 million people are suffering from hunger in the world and hunger causes the deaths of about 5 million children each year, according Catholic Relief Services. The issue of hunger is one we talk about on a regular basis as we get ready for the CROP Hunger Walk on May 1, 2016. We are delighted to be featured on “The Doris Davenport Show” with Doug Wyman in a six-part series on hunger. Jon Skogen, Senior Community Engagement Specialist at Church World Services has kicked-off the series on March 13, 2016. Jon has been our liaison for the CROP Hunger Walk for many years and has a wealth of knowledge on the subject. The Doris Davenport Show, “All Local All The Time,” is our 2016 media sponsor. The radio program is broadcast live every Sunday evening at 7:00PM on 1490 AM WPNA Radio from the top of the Oak Park Arms. With a reach of over 1.5 million people throughout the Chicagoland area, the sponsorship enables the CROP Hunger Walk to educate a broad audience on the various aspects of the hunger problem in the United States as well as its local impact. Over a six weeks period, CROP Hunger Walk experts, advocates and others committed to ending hunger will join co-hosts Doris Davenport and Doug Wyman in the WPNA studio. These CROP Hunger Walk representatives will provide important facts about the many aspects of hunger today. In this weekly awareness segment they will dispel myths and describe the needs of our fellow citizens both here and around the world who are suffering from hunger. To learn more about the radio program and co-hosts Doris Davenport and Doug Wyman, link to the Wednesday Journal cover story which highlights impressive details about these two Oak Park dynamic personalities. Over the past few weeks and coming weeks the Doris Davenport Show will keep the topic of hunger front and center with guests covering topics ranging from public policy; social issues; academia; education; distribution; religious perspectives; recipient needs and more. Click here for a link to the show where you can hear it live on Sundays from 7 p.m. to 8 p.m. CST. We hope you all have a chance to listen and learn more about the issues. If you have comments, please fill out the form below and don’t forget to join and sign up for the walk, just follow this link. The issue of hunger is one we talk about on a regular basis as we get ready for the CROP Hunger Walk on May 1, 2016. We are delighted to be featured on “The Doris Davenport Show” with Doug Wyman in a six-part series on hunger. Jon Skogen, Senior Community Engagement Specialist at Church World Services will kick-off the series on March 13, 2016. Jon has been our liaison for the CROP Hunger Walk for many years and has a wealth of knowledge on the subject. Over the next six weeks, CROP Hunger Walk experts, advocates and others committed to ending hunger will join co-hosts Doris Davenport and Doug Wyman in the WPNA studio. These CROP Hunger Walk representatives will provide important facts about the many aspects of hunger today. In this weekly awareness segment they will dispel myths and describe the needs of our fellow citizens both here and around the world who are suffering from hunger. In the coming weeks the Doris Davenport Show will keep the topic of hunger front and center with guests covering topics ranging from public policy; social issues; academia; education; distribution; religious perspectives; recipient needs and more. 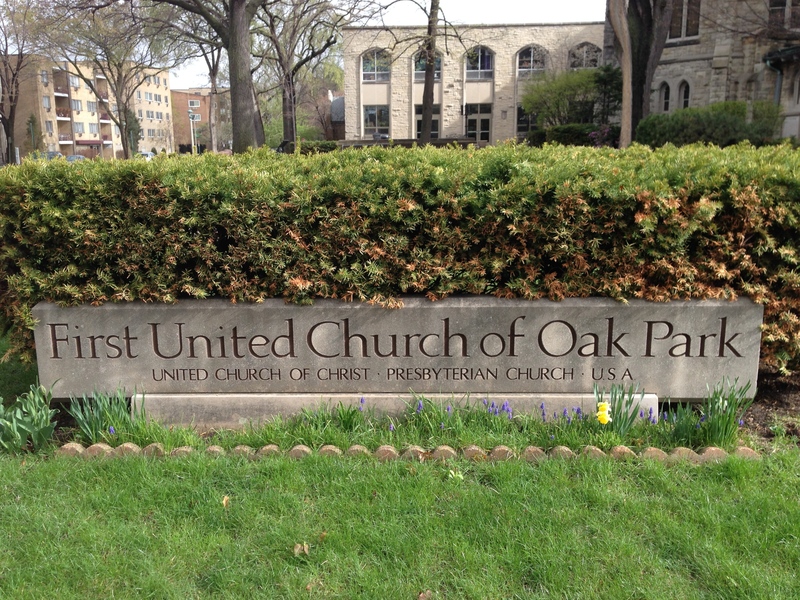 Continuing in our series of Why I Walk are more recording from First United Church of Oak Park. This time the voices of three women tell their stories. It is always inspiring to hear the insights of people who care about the issue of hunger. Please join them and us, this Sunday, May 14, 2014. Here is a link to the map. Please join and donate now. We had the opportunity to visit First United Church of Oak Park this past Sunday and met with several people who were kind enough to record their reasons for our “Why I Walk” series. Here are two of the several people who talk about the CROP Hunger Walk and what it means to them. We will have more recordings posted shortly. Please join them and us, on Sunday, May 4, 2014. Sign up now. Please give us your feedback on this series of recordings.